President Trump said Tuesday he doesn't think Oprah Winfrey will run in 2020, but if she did, he'd beat her. 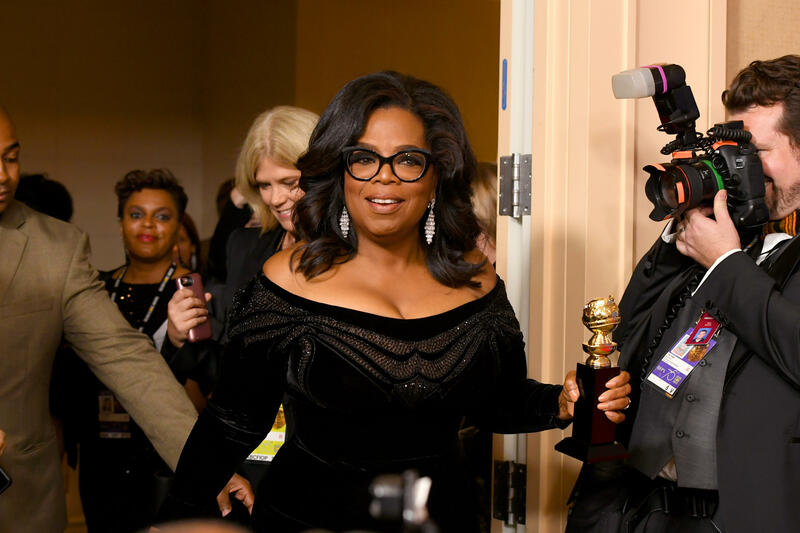 Mr. Trump, taking reporters' questions during a meeting with lawmakers on immigration, addressed speculation that Oprah could run for president in 2020 after her lauded speech at the Golden Globes Sunday. "Can you beat Oprah?" a reporter asked. "I'd beat Oprah," the president said. "Oprah would be a lot of fun. I know her very well. ... I like Oprah. I don't think she's going to run. I don't think she's going to run." The president also noted he has appeared on her show. Mr. Trump has praised Oprah on Twitter in the past. By the way, where is @Oprah? Good question. 4 years ago she strongly supported Obama--now she is silent. Anyway, who cares, I adore Oprah. Going back even further, when Mr. Trump first considered running for president in 2000, he mentioned that Winfrey would be an ideal running mate. CBS News' Jillian Hughes contributed to this report.